One Weekend / Two Fantastic Sporting Events – featuring DYNAMIK Sports Floors. Last weekend saw DYNAMIK Sprung Sports flooring being used for two international events. One in Leicester for Basketball and the other in London at the Copper Box Arena for Netball. 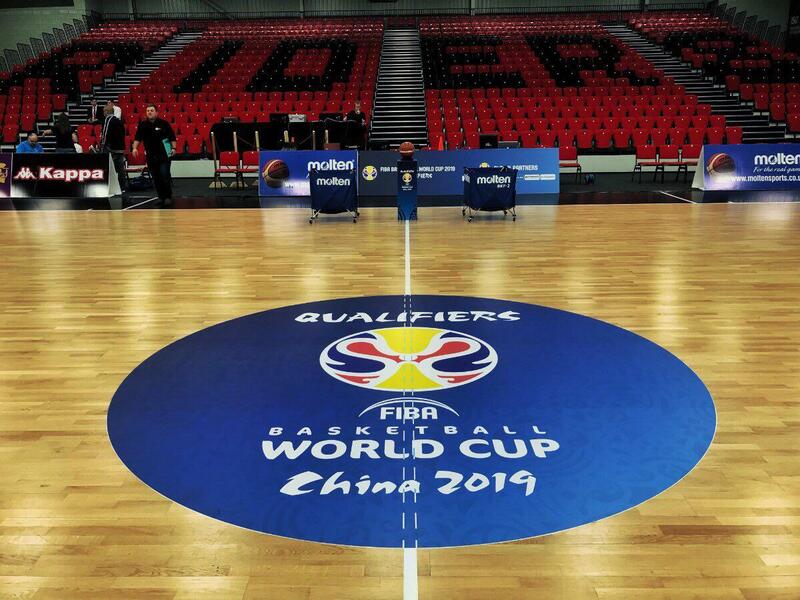 Leicester Arena hosted prestigious International FIBA Basketball Event. GB get their World Cup Qualifying campaign underway against Greece in Leicester. First International Netball outing for the new DYNAMIK HARO portable Sprung Oak Sports Floor. England Netball showcased their new DYNAMIK HARO portable floor at Vitality Netball International three match series with Malawi held at London’s Copper Box Arena and the Genting Arena in Birmingham. It was Roses’ last international series of 2017 as preparations for the 2018 Commonwealth Games and England’s hunt for gold intensify. Thanks to the team from Sportserve Ltd, who installed the new floor and applied the match graphics. Dynamik are proud to be supplying the Portable Floors for England Netball international matches and wish the Roses’ every success in the build up to the Commonwealth Games and the 2019 World Cup in Liverpool.